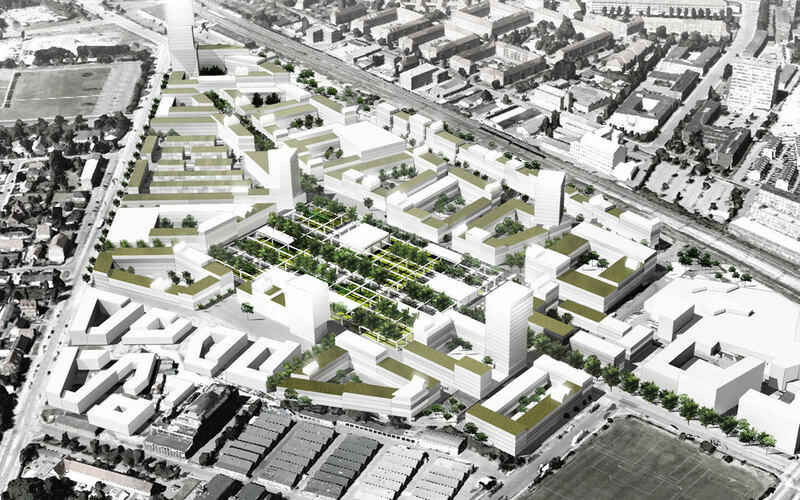 The new part of town Ny Valby––planned on the current vegetable market in Valby––is build as social sustainable green city. 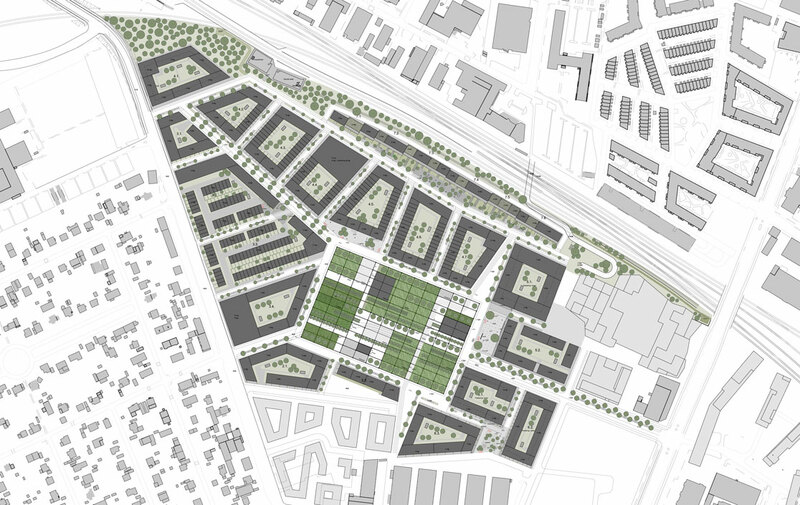 The area, a little bigger than 20 football fields, is planned with shared cars, trading stations and community gardens designed to facilitate an easier everyday life, and to strengthen the community of the area. 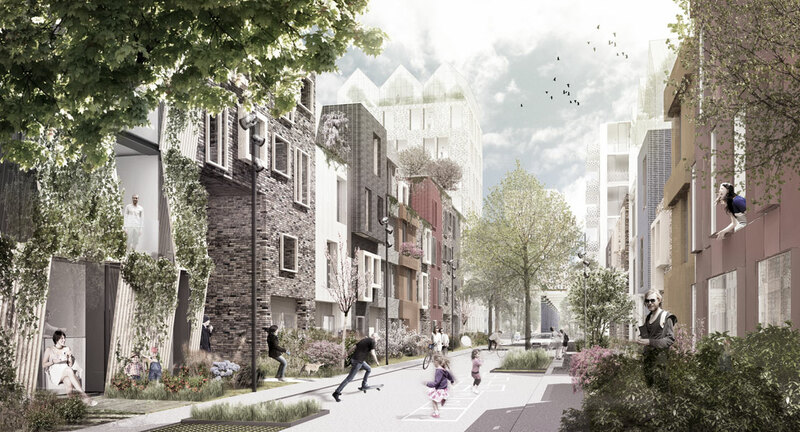 Value and identity for the town is created by building it around a green park, the former site of the vegetable market halls. 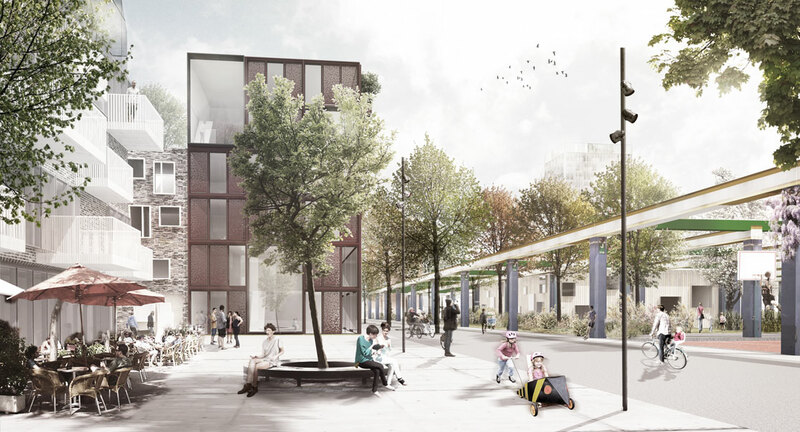 The pillars of the hall are preserved and become the frame of a green recreational facility. 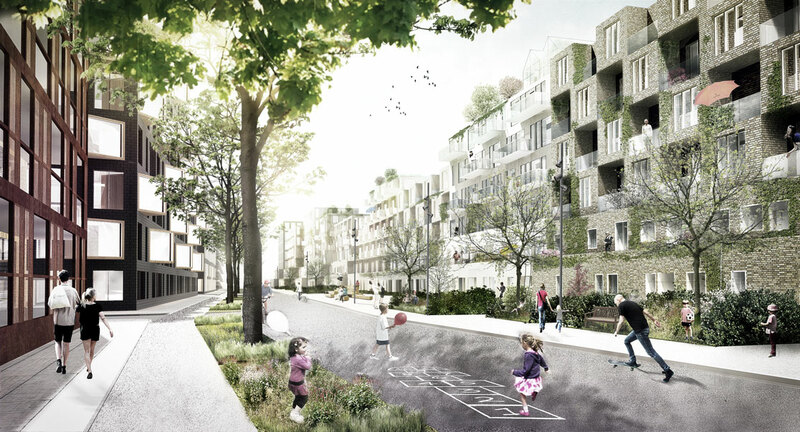 The park in the new part of town is surrounded by block houses containing apartments, town houses and row houses.